From the moment you walk into our modern office in Placentia, California, you’ll know you’ve come to the right place for state-of-the-art care. 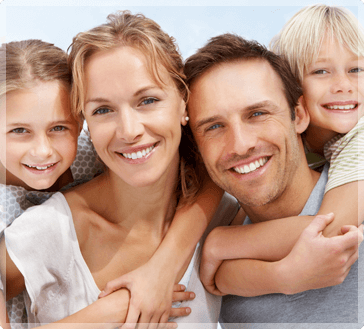 At Olson Family Dentistry, your family’s health and safety are of the utmost importance to us, and open communication is one of our highest priorities. Whether we are caring for the tiniest toddler who needs a comforting smile and friendly touch, or delivering delicate care to our aging population, we customize each and every treatment to your needs so you walk away feeling relaxed and pleased with your care. From regular cleanings to complex procedures, you can count on Dr. Rees Olson to take the time to answer your questions and to bring you proven methods for better, long-lasting results. Endodontic services: Single-visit root canals are available for your health and convenience in most cases. Relaxation options: For those who are fearful about dental visits, we offer nitrous oxide as well as other appropriate options to help you relax and enjoy a trip to the dentist without fear. Comfort and convenience: Personal headphones let you enjoy music during your cleaning. Plus we offer convenient early morning or lunchtime hours and minimal wait times so you can get on with your day. No matter your age or dental needs, we offer an option that is right for you. Call Olson Family Dentistry’s Northern Orange County office at (714) 993-3610 or request an appointment online.